With a reported 30 million vehicles now on the roads parking is becoming a more prized commodity. People parking in areas they’re not permitted, spending longer in commercial car parks and causing obstructions can affect business day-to-day. We can implement a parking control scheme to help minimise those issues, with signage alone deterring 80% of offenders before enforcement has even begun. Using our Complete Cancellation Control you can ensure that customers and staff have their issues PCNs cancelled, and only offenders are penalised. Providing 100% transparency and providing a truly useful service. We’re fully accredited with the IPC (International Parking Community) and are DVLA approved and licensed. All sites, signage and their placements are audited to ensure they comply with current enforcement regulations. 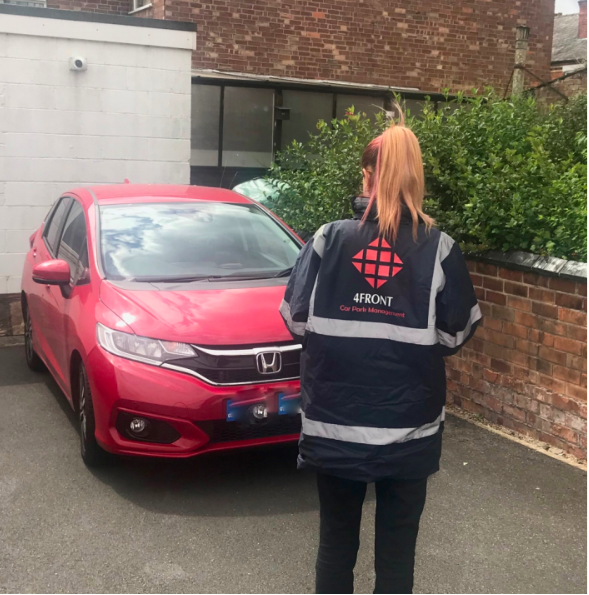 All enforcement is GDPR compliant, including signs used to enforce parking conditions and letters sent to follow up that enforcement. No matter the condition we can enforce it, helping keep your parking facilities clear and increasing business profits. “Our patrol officer service provides management and enforcement on your car park. “We provide our clients with exceptional services without the need of wheel clamping with a professional, tested, and fair method leading to incomparable results. Uninformed patrols at different times of the day to the car park. We understand every car park is different, and therefore, we provide tailored solutions to each car park. We try to meet our client on site to understand the parking issues in depth, and provide them with the best solution. We’ll like to believe that we provide the best solution the first time, that’s why 98.7% of our clients do not change from our tailored solution. A no obligation site evaluation and regular audits to maintain the standards. A site evaluation is very important to understand the car park and to put them on paper. Our surveyor will visit you car park, and understand exactly what the issue is, and what the best solution for it. The best part it, this is free to you (t&c apply). If your happy with the service we suggest, then lets sign up! A callout only service if you prefer complete control. We understand that you might not need a service where our wardens regularly patrol your car park. You prefer more control, and like doing things yourself. We have a service that meets all your needs. With a callout service, our warden will only attend when you call us and ask. We’ll provide you with the number you need to dial, and call away, 24/7 of course (t&c apply). Whitelist service, to ensure certain vehicles never gets issued with a PCN (Parking Charge Notice). When signing up to our service, you will be provided with a login to our client portal enabling you to enter vehicles to your site whitelist. If you have more than one site with us you will also have the ability to create a master whitelist that covers all of your sites this is useful if you have a management / maintenance team that visits more than one site and only needs to be on one whitelist. Whitelist means we wont issue a PCN to the vehicle even if it breached certain terms of the parking condition. Our patrol officer service helps manage your car park effectively. We provide up to six patrols a day on an uninformed and ununiformed pattern. You can place a call out request, if you face parking problems at certain times. We usually attend callout within 20 mins, but times vary depending on traffic. 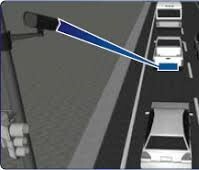 Using the latest technology, high-accuracy ANPR cameras, we enhance your parking experience while at the same time, increasing your profitability and security. Eliminating unauthorised parking on your site frees up spaces encouraging your clients to visit you regularly and allows you to focus on what really matters – looking after your clients and prospects in order to provide them the best service. We recognise that each car park is unique so each contract is individually tailored to provide an optimal operational and management solution. This ensures a service which is fair and effective and which balances the needs of both clients and motorists. CONTROL YOUR OWN PARKING FACILITIES! One of the greatest benefits of the 21st century is the technology it brings, the power of the smart phone means you can control your own parking facilities without the need for Patrols or Automated Number Plate Recognition systems. All PCNs are issued via the post to reduce on-site confrontation. As PCNs are uploaded to our system, automatically where an internet connection is present, as soon as you’ve issued via our app that is your job done. Unlike other systems offered we don’t require you to send any further information; such as paper copies, or photos. The reason for issue is tailored to your needs, we can enforce against any vehicle for any reason – you tell us your requirements. Our state of the art permit system is flexible to your requirements: virtual or printed. All connected to your enforcement app. Simply login and upload what vehicle registration is permitted to park, as you issue a PCN the app will let you know if it is authorised. This service is suitable for all ranges of clients; Shop Forecourts to Shopping Centres. No matter the size, or complexity in requirements Self-Ticketing can be an easy and cost effective route in controlling your parking facilities and earning back lost revenue. Also usable in conjunction with Patrols and ANPR.